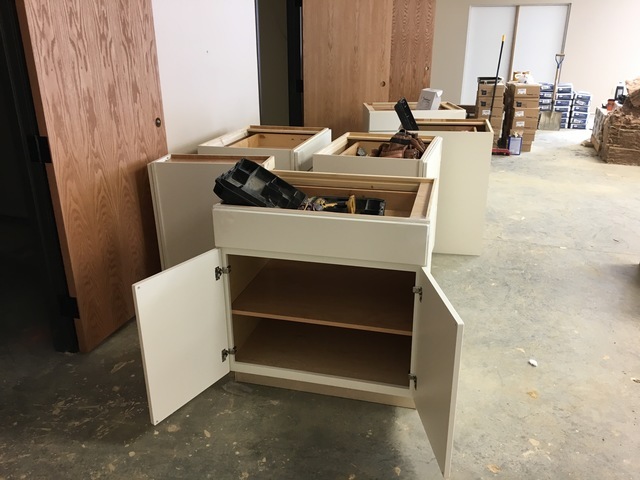 The cabinets for the kitchen, classrooms, and offices have been delivered to the building site and are being installed! 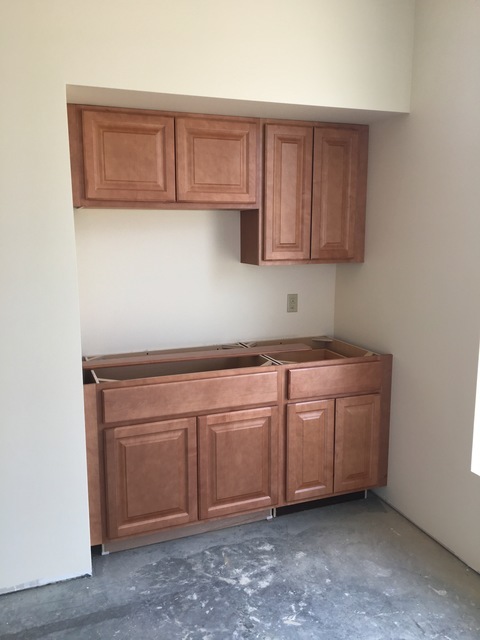 Cabinets in the kitchen are off-white with a slab front style and material that is easy to clean and maintain. 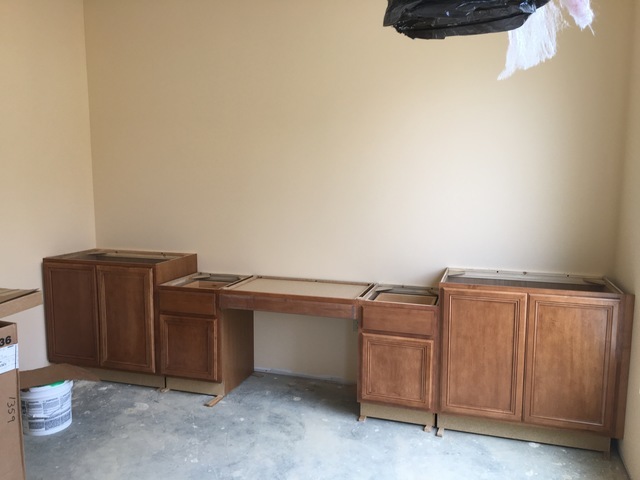 Cabinets in the classrooms will include a large single bowl in sink with high spouted faucet and sprayer, as well as a mini hot water tank.